It’s official: California is already on track to log its rainiest year on record despite a historic drought that is still technically in effect. While that might sound like an impossible situation, unpredictable and unusual weather has become something that facility managers, building designers and much of the public must cope with. As of March 10, the National Oceanic and Atmospheric Administration reported that rainfall trends throughout California were well beyond average. But instead of seeing far too little rainfall, as has been the case since the state declared an emergency-level dry spell in 2014, many areas have suddenly seen a deluge of water. The National Centers for Environmental Information at the NOAA recorded 27.81 inches of rainfall in California from Oct. 1, 2016 to Feb. 28 (rainfall is tracked according to a year that begins Oct. 1). During this season, the state usually sees less than 16 inches on average. The LA Times noted that the wettest fall and winter on record was logged in 1968-69 with 27.34 inches. Therefore, the state has set a new record high over the course of a rain-year, and is on track to break records set according to the calendar year, too. The signs of this monumental achievement can be seen throughout California. The LA Times reported that from the Anza Borrego desert near the Mexican border, to the northern coastline, the land and the infrastructure has been destructively shaped by heavy rain. Officials said even in dry areas, plants were “exploding into bloom” as early as December, while highways have been rendered unusable due to flooding. Rainwater also has exerted a powerful effect on commercial buildings and the roofing systems that must bear the bulk of this natural force. Trends evident in the most recent climate research indicate an additional layer of complexity, however: According to the EPA and the conclusions of most climate scientists, weather patterns are becoming less predictable in much of the world. That means many of the models developed to predict rainfall over the last century may not be entirely helpful in predicting what will happen in the future. 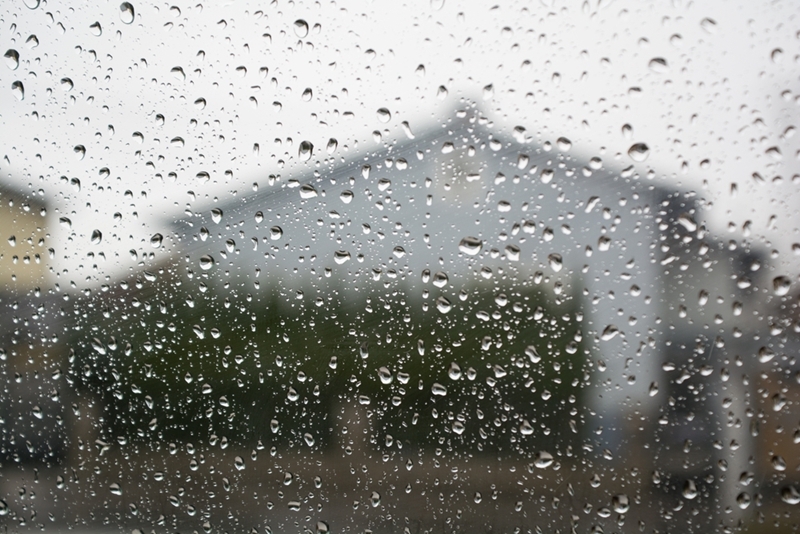 Greater amounts of heavy rainfall, like what California has experienced so far this year, means roofing must be built to withstand it. That’s why cities and businesses throughout the U.S. and elsewhere have made it a priority to design structures with extreme weather in mind. Fortunately, this has gotten somewhat easier with the advancement of technology used to design, build and maintain structures today. More than ever, buildings are now created with resiliency as a top priority, as explained in an article from Curbed Magazine. Commercial and municipal buildings throughout the U.S. increasingly adhere to standards that emphasize minimal environmental impact while standing up to the worst Mother Nature has to offer. Regarding roofing, that has meant a greater push toward using materials that release less harmful chemicals into the air and water, but are still durable enough to remain useful for years of heavy use. More businesses and organizations also work harder to maintain roofing through frequent inspections and maintenance, which cuts down on waste while increasing long-term profit. In many ways, the roofing systems atop the countless commercial structures in California are the first line of defense against heavy rainfall. Modern roofing is designed to stand up to the immense force of rain while allowing it to drain safely away from the building. Newer roofs made with SBS modified bitumen also confer additional benefits through their better heat-absorbing properties. This results in less energy use and a reduction in pollution. Roofing may seem uninteresting to some, but it serves a vital purpose in handling the record-breaking weather events seen in California and elsewhere.